We at TJDentalCenter.com give utmost importance to privacy. We recommend you to peruse the following privacy statement to know what to expect from us regarding any personal data you share with us as well as your corresponding rights and responsibilities. Protecting the confidentiality of medical and other health-related information as well as any other personal data provided by our clients is of paramount importance to us. We keep the protection of your personal data and privacy in mind while designing, formulating, and operating our system. We constantly work towards safeguarding our client data as per the legal requirements. To provide the best of the dental services to our clients and to coordinate their travels to Tijuana, Mexico well, we at TJDental Center collect information either directly on the website or through offline forms. We may also ask clients to furnish information related to their address, phone numbers and email address, which will be utilized to get back to them regarding information on the company as well as the dental treatment they seek and to further talk about their interest in our services. We have adequate systems in place to safeguard your information reasonably and retain it securely within the organization. We make constant efforts protecting client information from loss, misuse, unauthorized access, disclosure and modification. We make use of Secure Socket Layer (SSL) 128-bit encryption, firewalls and intrusion detection systems for the safety of your personal information. Access to such information is granted to authorized employees only. They cannot utilize client data for anything other than authorized business purposes. Although our security methods are efficient and reliable, yet no system is completely impenetrable. Hence, we do not guarantee that your information in our system is completely shielded. Also, we cannot guarantee non-interception of your information in the process of its transmission over the Internet. 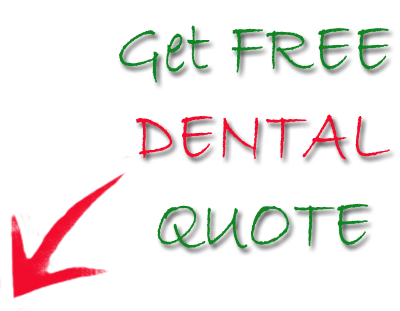 TJDentalCenter.com contains links to third party websites which in no way is an endorsement of their products and services. Additionally, we are in no way responsible for the veracity of the content or information on these linked websites and hold no accountability to their privacy policies. We strongly advise our client to review their privacy statement before submitting any personal information on these websites. User visits are not tracked or recorded on TJDentalCenter.com. Also, we do not record information on the identity of the visitors. A small file called a session cookie may sometimes be written in the user's PC which expires when the user leaves the website. The information gathered by a cookie lasts for only a session or till the completion of an online transaction. We do not gather or utilize information regarding children aged below 18 years without the consent of their parents. If we recognize any information to be belonging to a child aged less than 18, it will require parental consent to be utilized before we offer any help.